Work Towards the Good of All……………. The couple could not resist and said to the old man, ‘Sir, why don’t you take your son to a good doctor may be to a psychiatrist?’ The old man smiled and said to them, ‘I just did. We are just coming from a doctor but not a psychiatrist; we have just been discharged from the hospital. You see, My son was blind by birth. He just got his eyesight today for the very first time. He insisted me to take him for a ride in a train as he loved seeing the nature and its scenic beauty which he could not all these years. His behavior may seem stupid to you, but it’s more than a miracle to me. I as his father am feeling full of elation to see my son seeing the wonders of our world after so many years.’ The young couple just sat down there, dumbfounded, lost for words with a mixture of tears and shame in their eyes and apologized profoundly. Look Fab, Enjoy Life and Be Cheerful Always………….. Yes absolutely true and I too agree with this story, who are we to judge and for what. Thanks for your great comments. Thanks dear Cathy. Blessings to you too. Thanks dear Vishnu for your kind words and yes these stories are eye openers in themselves. Hi Brigdet and same here too, was missing you all. Yes I too agree these stories have so much truth in them and they are so good for us. Thanks dear so much. Love and hugs to you. Lovely story. It made my eyes wet. Thanks for sharing. You really touched my heart. God bless you. Thank you for your kind words and yes this story too touched me so much. How happy it made the father once he son seeing and getting his eyesight. Blessings to you too from the Lord. Amen. Today I have also shared one more story. Please explore if possible. Thanks for your consideration. God bless you. Yes yes dear am so happy Jodi a bundle of joy has come to our house. Thanks dear so much for your kind wishes. Thanks dear Savvy for your kind wishes. Wonderful story Kamal! It’s so important to understand others rather than judging them. I appreciate your kind, compassionate nature and stories. Yes absolutely true and agree totally with your words Brad why judge others and for what when we ourselves are imperfect. I too loved this story. Thanks so much. What a heartwarming story. Thank you so much for posting it. Welcome Barbara and I too agree totally with your words this story was so touching and shows us how not to judge anyone in our life. Right everybody on this earth had a story…..beautiful post nd story nd message. Thanks dear for your great comments and yes so true every human has his or her story why must we judge them and for what. You are very welcome Kamal. Again you have shared a very beautiful story with depth and joy. May we never judge each other, why should we? Here was a wonder playing out. Even if the young man had a mental problem, the fact remains, he was happy. I loved his observations by the way. About the trees and the clouds. Thanks Fiona for your great comments and yes so true and agree totally with your words these stories tell u so much of truth. great story, even better advice, happy to read you! Thanks dear Zaza and yes absolutely true and agree totally with your words. These stories are eye openers in themselves and speak the truth. What you see on the outside often doesn’t reflect what is on the inside. Yes absolutely true and agree totally with your words Robbie. And why judge anyone and they maybe having different problems in life. Thanks so much. A great reminder to us all, to stop and look at all there is to see! Yes absolutely true and agree totally with your words Savvy and what a story on how to not judge anyone in the world. Thanks dear. such a beautiful thought provoking story. Thanks so much for your superb comments dear. Thought provoking story Kamal. We need to be patient with others. Even I have to confess, in the beginning I thought “24” was a typo. I decided to be patient and read further. All was crystal clear when I read whole story. Thanks dear for your great comments and yes so true we jump to conclusions unnecessary but when u look inside can understand what each one goes through in life. Yes, we always fail to see another side of moon, thanks for the wonderful reminder. Welcome dear Megala and I absolutely agree totally with your words we all fail to see the other side of a person. Thank you so much dear Michael for your kind words and yes have just resumed work so will have time to post inspiring articles. This story was awesome it showed us how not to judge people unnecessay. Welcome dear Michael same to you too. A great story with deep meaning. We can’t judge people by appearance. Keep up the good work. Welcome and thank you so much for your kind words. These stories are eye openers themselves and are so inspiring. Yes absolutely true Tanvir and why must we judge people when we ourselves are not perfect. Thanks so much. Welcome dear. U know Tanvir I had taken a few weeks break cause my daughter gave birth to a baby boy on 22nd October and I just resumed office. That’s great!! Congratulations to you and to your daughter too!! God bless the newly born!!! Thanks dear Kate so much and these stories are eye openers in themselves and speak the truth. No no nothing like that dear come across these beautiful pointers and stories on what’s app from friends and then I put it in my words and frame these stories and pointers. ok so a bit like a cooperative effort, very clever! Yes yes but poetry is my pure imagination and I have written few short stories too, Kate. Thoughts which I posted is a story written by me just thought about how to write a short story and thoughts ran through. Yes absolutely dear Kate and keeps u so occupied and we can even make our thoughts creative and enjoy what we do. Yes dear Kate I totally agree. Happy blogging. Love and hugs to you dear. Hi Kamal have nominated you for the white elephant challenge . Hope you will like it. Oh thank you so much dear Tanvir. Will definitely do the needful as I get time. Thanks dear Tanvir and yes will definitely do so and blessings to you too dear u r a wonderful and beautiful person yourself. Love and hugs to you. 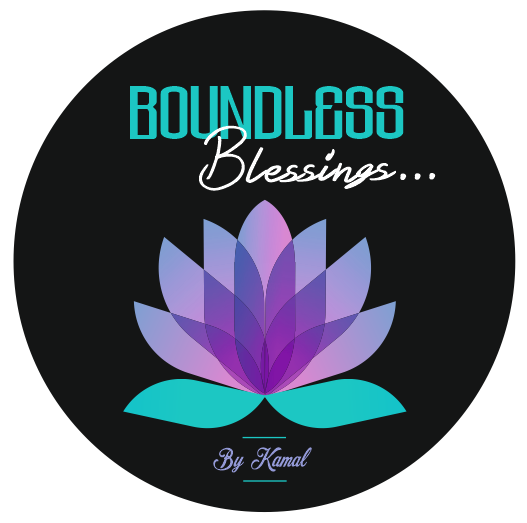 Thank you so much Kamal and have the same thoughts for you . From the day I have joined word press you have always encouraged me. Same here dear and I miss some of our blogger friends too who have left and so nice we used to comment and have a nice chat. U too r such a wonderful person,Tanvir. Thanks for being there dear. Next Next post: Hearts – Like Doors………….